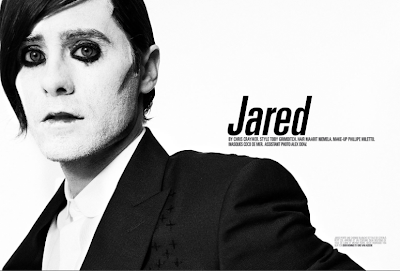 + + +: Jared Leto Crashes. 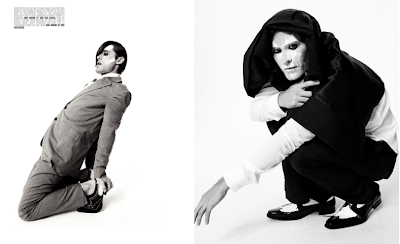 I am not sure what to make of this photoshoot for Crash Magazine featuring MSCL hearthrob Jared Leto... it seems part inspired by the Joker and the other part inspired by a mime. The shots with less makeup I think look hot but the first picture creeps me out! What do you think? Jared is pretty hot...too bad he looks like such a freak much of the time..
His gorgeousness is almost to the point where he can do no wrong...almost. I just watched the entire series of My So-called life in a week, and fell for moody teenage Jared. Makes me sad he turned out all...emo.